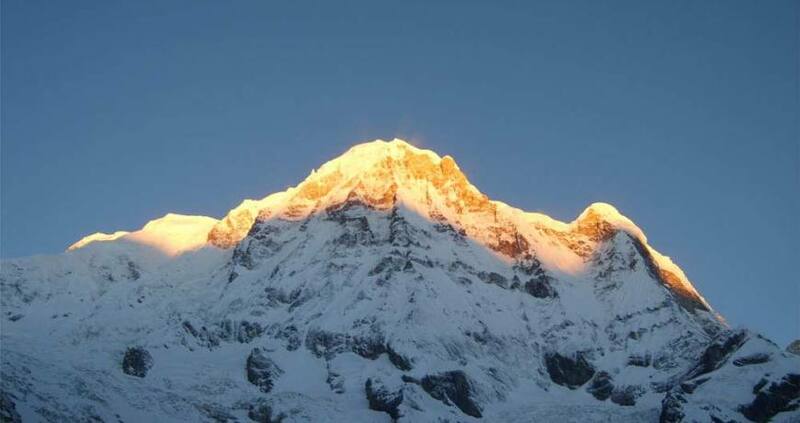 Manaslu and Annapurna Trek with Tilicho Lake is a combined trip that connects the superb trips of Manaslu circuit (5135 meters of Larke Pass) and the Annapurna circuit (5416 meters of Thorong La Pass) including the glacial Tilicho Lake (4949 meters). 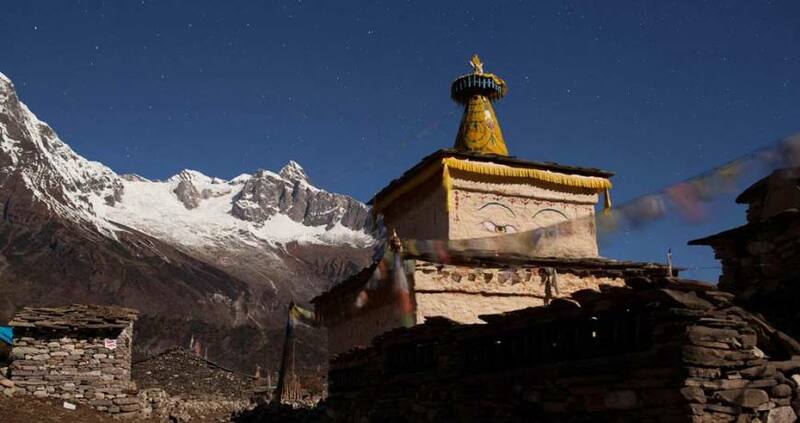 This grand trip offers you an opportunity to explore abundant Himalayan white peaks and the cultural attractions of the Tibetan Buddhists. 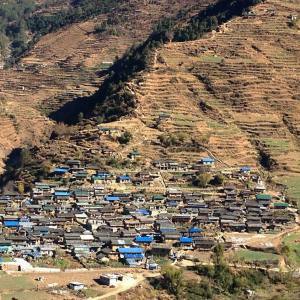 The trek begins in the Manaslu region, through the bank of the Budi Gandaki River bank. Passing some of the culturally significant ethnic villages, you cross the adventurous Larke Pass and explore Mt. Manaslu and the surrounding peaks. 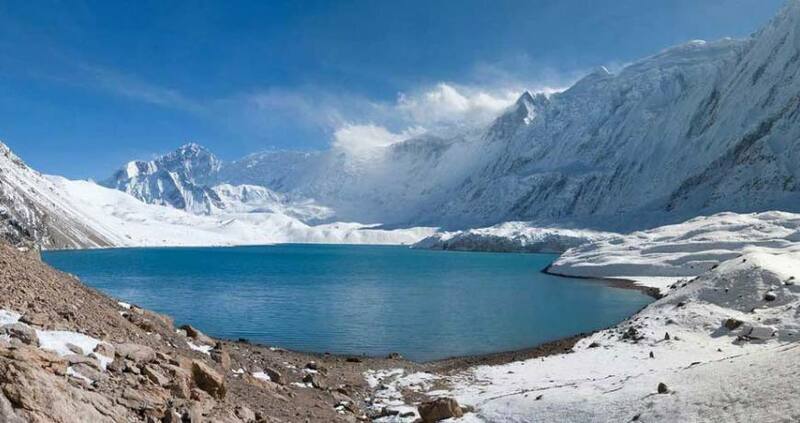 Joining the Annapurna trail, you can explore the highest located Lake in Nepal, the Tilicho Lake. 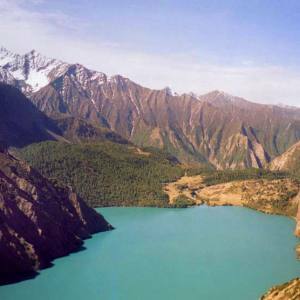 It is also a significant Lake of the Hindu devotees. 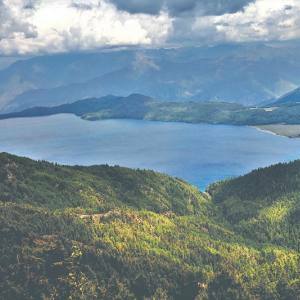 Two options are there from the Tilicho Lake: crossing the Mesokanto Pass and descending to Jomsom or crossing over the Thorong La Pass and descending to Muktinath. 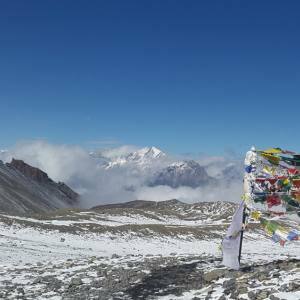 The Thorong La Pass is most admired that goes via Yak Kharka. 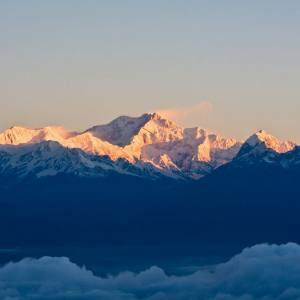 The stunning white peaks of the Annapurna and Dhaulagiri chain are brilliant. The trek concludes at Jomsom and fly to Pokhara. 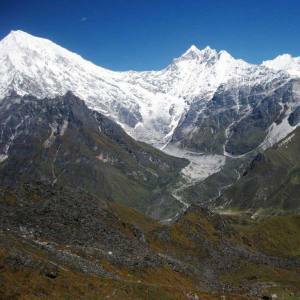 If you want to trek with the professional guide with excellent trip arrangement, please feel free to contact Nepal Kameleon Holidays and make your trip exclusively spectacular. Day 09: Hike around. 6 - 7 hrs exploration. Accommodation in Kathmandu with bed and breakfast basis. Kathmandu – Suketar– Kathmandu flight ticket. Lodge and Camp base accommodation during the trip. Manaslu restricted Permit, MCAP Permit and ACAP Permit. This is a long trip covering Three distinct destinations. If you plan to make it shorter, we also organize the trip. Please, do not hesitate to contact us. Day 01Arrival in Kathmandu (1300m). Day 09Hike around. 6 - 7 hrs exploration. Day 11Rest Day in Samdo.